The Rebel Sweetheart. : History and Advantages of Alcohol-Free Perfume. Perfume that is all natural and alcohol and chemical-free was a prized possession in the entire Eastern world for thousands of years. Considered the most treasured material possession, nobility would offer it to their guests when they departed. This tradition continues to this day in many areas of the Eastern world. It is also used by Sufi worshipers in their meditations and dances. 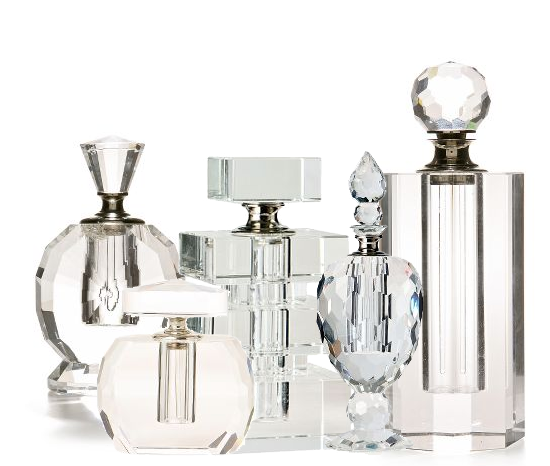 These 100 percent alcohol-free perfumes are very concentrated, last a long time, and are still presented in tiny ornately decorated crystal cut bottles or small brightly jeweled decanters. Ittar is a perfume oil that is derived from natural sources and then distilled naturally. The aging period could last from one to ten years depending on results desired. The word 'ittar' or 'attar' is an Arabic word meaning 'scent' and is believed to be derived from the Persian word Atr, meaning 'fragrance'. There is no more enticing and intoxicating scent than that of flowers such as roses, lavender, carnations, lily of the valley and others. Add to that the benefit of feeling good on the skin because perfumes without alcohol are not irritating and drying. They also last much longer because they do not evaporate. You are sure to appreciate the difference between these hand blended perfumes and those alcohol perfumes that are mass marketed. alcohol free perfumes are really a prized possession! I'm sure this will be very expensive! One of the reasons that I had to stop using perfumes was because they irritated my skin. I am excited to see this alcohol-free perfume being offered. I, too, love the scent of lavender, lily-of-the-valley, etc. Definitely a great idea to have alcohol-free perfumes! I am going to have to try one out! The bottles are lovely and I think alcohol free is the way to be! The bottles are very pretty! It sounds like something I would try. Thanks for sharing.